My final belly pic at 36 weeks As I reached 35 weeks pregnant, I was suddenly so ready to be done. I was exhausted, sore, and huge. I still wanted my babies to stay in until 36 weeks, but I was also wanting them to come out so I wouldn't be so miserable. I had an appointment January 4th. I was checked and found to be 3cm dilated and 70% effaced. My OB discussed scheduling an induction for the following week, when I would be 38 weeks (according to their edd). Because I was so ready to be done I agreed to scheduling it for Thursday January 13th, when I would be 36w6d according to my dates, with the assurance that if I was not feeling comfortable with it at my next appointment and things were still going good, we could push it further off. I didn't really want to change it because it was nice having a date to look forward to no longer being pregnant, but because I really didn't want to be induced I just hoped I'd go into labor on my own by then. Sunday January 9- I'd had some bloody show throughout the day. Around 6pm I notice I'm having some irregular contractions. They vary greatly in intensity and frequency. I take a bath to see what that does but it doesn't change anything. They stay irregular the whole evening, and space out even more by the time I go to bed. I hope that my body is getting ready for labor and that maybe the next day things will really start happening, but I don't even tell my husband about them because they don't feel like real labor. I've checked my cervix throughout the pregnancy and I do again but it feels the same as it has for the last week. I go to bed around 9:30. I'm up a few times to use the bathroom. Monday January 10- My husband comes to bed at midnight. I return to bed after one of my bathroom trips. Just a after laying down I feel a painful thunk in my pelvis. Baby A, Isaac, has dropped. I get up, sure that something is going to happen now. I go to the kitchen, deciding I need to eat something while I time contractions. At this point I figure my long hours of early labor will start, like I've had before. As I eat my cereal I time contractions on the computer while checking email and messageboards. Contractions are about 4 minutes apart and pretty painful. I decide to go take a bath to see if that makes the contractions hurt less since I thought I'd have many hours to go and didn't want to be in so much pain the whole time. About 12:45am as the water is running I check my cervix again and it is dilated a ton more than it had been just an hour before and his head is so low. I think to myself that maybe I shouldn't take a bath, but I push that aside and get in anyway. After just a few contractions just 2-3 minutes apart and pretty strong, I start to realize that maybe I won't have a long slow labor like I'd planned. I call for my husband but he doesn't hear me. I finally get out at 1am and wake him up. I tell him to go call my dad to come stay with the boys because we needed to go to the hospital because I was in labor. He goes downstairs while I get dressed and grab my hospital bag. I'm so glad I'd packed it 2 weeks before. Nate comes up and grabs some clothes and things for himself and we go downstairs to wait for my dad. I'm having contractions 2 minutes apart and very painful already. I have Nate push on my lower back during some to get some relief. He calls the hospital to let them know I'm in labor and we will be there in about an hour. The lady asks him if we want to talk to a nurse to make sure it's time and I yell at the phone that it is definitely labor. Each contraction feels more intense than the last and I realize that things are going much faster than I'd expected. My dad calls to ask if he has time to go pick up one of my sisters to stay at the house and Nate tells him no. At 1:15am I call a neighbor to come stay with the boys until my dad can get there, because I really felt we needed to go asap. She gets there about 10 minutes later and we leave at 1:30am. The hospital I am delivering at is usually about 45minutes away. I briefly think about going to a closer hospital but decide I want to stick with the one I know won't give me an automatic c-section. Luckily because it's the middle of the night it only takes 30 minutes to get there. Unfortunately I am having contractions every 1-2 minutes that are extremely intense. My water breaks in the car, and I realize that one towel is not enough to protect a car seat lol. I'm starting to feel the urge to push with my contractions and try hard to just breathe through them one at a time. We are afraid I'll end up delivering in the car. We arrive at the hospital and I hop in a wheelchair for Nate to wheel me in. We go in through the ER and there is nobody there. Finally a guy shows up and we ask him how to get to L&D from there. He asks if we want someone to come show us the way and I say, "No, let's just go!" We hurry through the hospital and get up to L&D finally. They have a room ready for us and I hurry and strip off my clothes and throw on the gown. They check me and say I'm fully dilated and I say, "I know!" We rush back to the OR (they deliver all twins in the OR just in case) as they are asking me all the questions about pregnancy and allergies and stuff. They have me get on the hard flat operating table and I complain that it does not look comfortable lol. I'm still trying hard not to push and beg them to let me push. They are finally ready and I get to start pushing. It's excruciating and I put all my effort into it because I just want it over with. I push for maybe 10 minutes and then Isaac's head is out but his shoulders are stuck. They push me into even more painful positions to get him unstuck and finally out he pops at 2:21am. All I could see was that he was dark purple, which scares me for a second until he lets out a nice healthy scream. They tell me he is ok. I get a short break from contractions while they finally have time to get an IV going, break Baby B's water to get him to descend and I think they started a little pitocin to get the contractions going again. I complain that I don't want to do it again. I push for about 10 more minutes. Caleb's heartrate drops and they decide to use the vacuum to help him out. He arrives at 2:36am and I get to touch him for a minute before he is whisked away. I try to check out my babies while we wait for the placenta to come out (and I again complain about having to push something else out lol). Isaac's face is very bruised from him dropping so hard into my pelvis and Caleb has a little squeaky cry. After my placenta is delivered they stitch up the small 1st degree tear I had then tell me they are taking the babies to the nursery for observation for just a little while. Around 3am they go to the nursery while I'm taken back to a room. I'm shaking uncontrollably from the shock of such a quick delivery, but so happy. I can hardly believe my babies have just arrived. They bring the babies back around 3:30am. The hospital encourages skin-to-skin contact as soon as possible, so my little boys are laid against my chest and I get to hold and cuddle them for the first time. They are so precious and I can tell right away they are not identical. They tell me the birth weights. Isaac was 7lb9oz and 18.5" and Caleb was 7lb1oz and 20.67". I was surprised because this whole time I'd expected Caleb to be heavier because of his measurements, but instead he was longer and skinny while Isaac was short and chubby. I nurse them one at a time while Nate, my mom, my brother and sister-in-law take turns holding the other baby. We had a steady stream of visitors most of the day, and I was happy to see them even though I was exhausted. I loved showing off my boys and recounting our crazy night. Because I hadn't had time for antibiotics in labor for GBS they wanted us to stay 2 days so they could watch the boys and get some blood cultures to make sure they didn't get it. Isaac had a mild tongue-tie that was making it harder for him to nurse so we had them clip it before we left and he has been such a piggy ever since. Caleb has a little bit of jaundice but they weren't worried. I'm trying to nurse him more to get it out of his system but he's a lazy little guy and would go probably 5hrs between eating if I'd let him. So far things are going wonderfully. I am so in love with my little boys and the other boys are doing great with them. I'm still somewhat in shock that they are here already and arrived so quickly. This was by far my most painful delivery, and I still think I would have chosen to get an epidural if I'd had time. I definitely will never be jealous of people who have short labors ever again because I now know how intense and painful it can be. But I'm also proud of myself for doing it. I am so thankful for the hospital and staff for being supportive of a VBA2C with twins and for taking such good care of us. Wow that is amazing! Congrats on your sweet little ones! They are beautiful! I'm so impressed! What a blessing to have a supportive hospital and caregiver for VBAC twin birth. I'm a surrogate pregnant with twins (again) hoping for another VBAC. This would be a VBA2C for me. My son a c-section in 2008, daughter VBAC in 2010, twin boys c-section with no option for a repeat VBAC. I'm pregnant again via surrogacy with twins, tomorrow I'll be 23 weeks. I have emailed you already but thought it would be beneficial to post a comment. Your story is very touching & I'm so happy that I came across your blog. 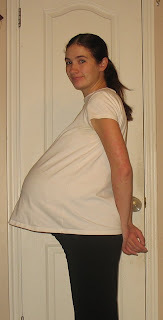 I don;t have many supporters for my VBA2C with this pregnancy. I've done some research on my own but any information you can give me would be greatly appreciated! P.S. If my Facebook link doesn't work I've commented just under your post in ICAN.